Follow Food & Wine Magazine’s Executive Wine Editor Ray Isle as he drives the back roads of Sonoma County to meet with winegrowers for a series of up close and personal interviews about the back stories of grape growing, sustainable farming, and the history of agriculture. Buckle up and enjoy the ride! 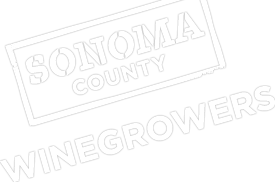 Join Ray as he visits with Steve Sangiacomo, a third generation farmer in Sonoma Valley. Hear Steve discuss his Italian family’s deep roots in Sonoma County dating back 80 years with an old fruit orchard that was eventually planted to winegrapes in 1969, and today it’s one of the most recognizable and sought after vineyard designates in the region. Steve shares stories of growing up on the farm and what it means to run the business alongside his brother and sister. An elder statesmen for Sonoma County’s responsible wine farming movement, grape grower Mike Rowan has a passion for sustainability that comes, not from youthful trend-chasing, but decades of farming his small vineyard. Travel with Food & Wine Magazine’s Executive Wine Editor Ray Isle as he visits Charles and Diana Karren of Terra de Promissio Vineyard located in the Sonoma Coast appellation. Hear the Karren’s story of how they met and their incredible journey to find their “Land of Promise” and become grape growers in this illustrious winegrowing region. They share their vision for keeping this land in their family for generations to come. Travel with Ray Isle as he visits an old vineyard in Sonoma County’s Alexander Valley that was planted back in the 1880’s. Meet Bret Munselle, a 5th generation grape grower who’s family planted the vineyard and Brad Petersen who is now farming it today for Silver Oak Cellars. Hear their stories of how this heritage vineyard has continued to flourish and maintain its deep roots for close to 140 years.